Omg.... i didnt expect tails to be this sort of character. . HD Wallpaper and background images in the Miles "Tails" Prower club. this is the bloody tails ever i seen,but not very scared is it? 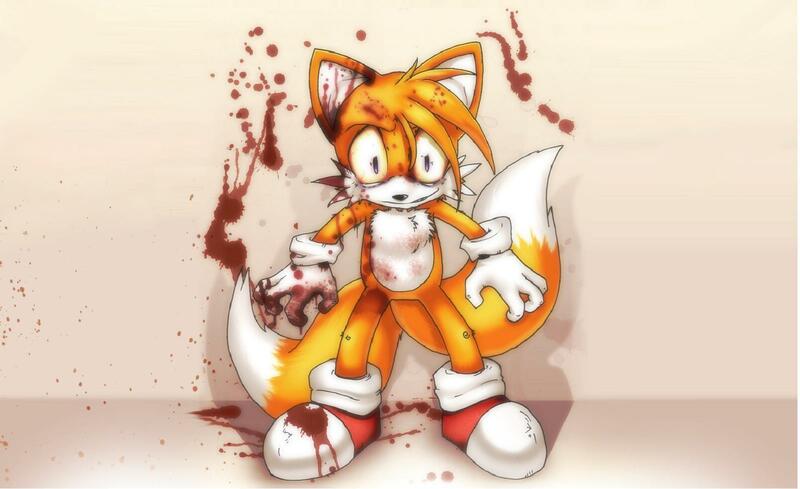 people keep thinking that tails ripped sonics head off.its just a drawing. a coll one! tails reminds me of me!. this pic does to!